We are a leading Manufacturer of soan papdi peeling machine, bucket elevators and visual inspection systems from Hyderabad, India. Peeling operation in Soan Papdi making process. By keeping track with the market developments, we are engaged in offering an extensive range of Bucket Elevators. 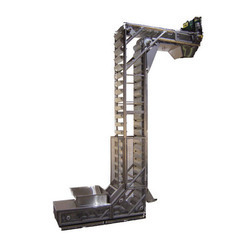 Our bucket elevator is accessible in several specifications so as to meet the demand of customers. This bucket elevator is used to convey light, free-flowing matter where aeration of the material must be avoided. 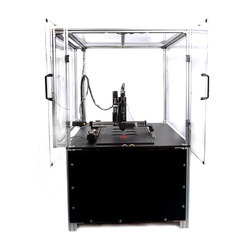 The bucket elevator offered by us is developed by using top quality of material & leading techniques following the set standards of industry.